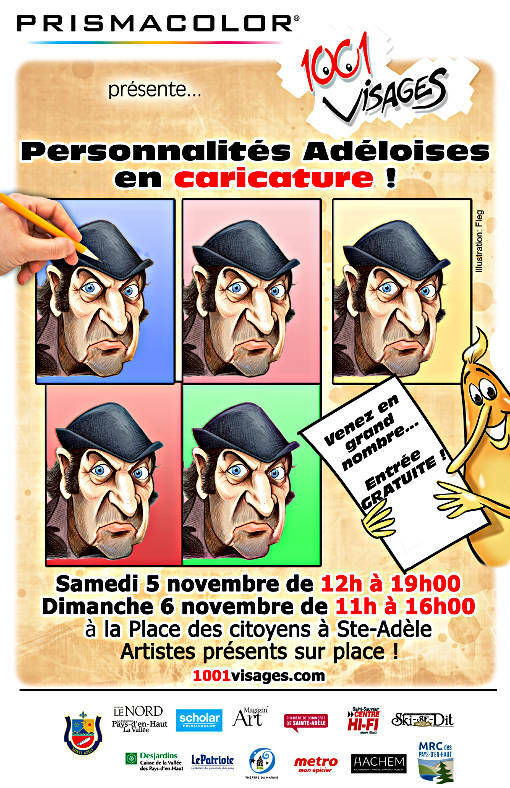 On Saturday the 5th and Sunday the 6th november, there will be a new event : « Personnalités adéloises en caricatures » (“Personalities from Ste-Adèle in caricatures“) at the Place des Citoyens of Ste-Adèle. The artists of 1001 Visages will exhibit the caricatures of remarkable personalities from Ste-Adèle. Some artists will be there to offer the caricatures live service and for the animation. A cultural educational and family event not to be missed ! 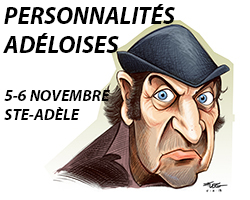 The event Personnalités adéloises en caricatures will be held November 5 and 6 at Place des Citoyens in Ste-Adèle.